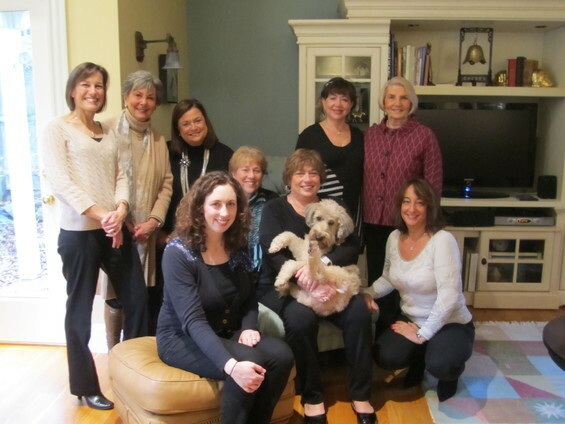 Sapphire Society member Roberta Greenberg hosted a brunch for the dedicated members of the women’s major gift division of Jewish National Fund. President Amy Parsons, having just returned from Israel, briefed everyone on the JNF dedications at Sderot Reservoir in memory of her late husband Natan and the Greenberg-Elovitz Secure Indoor Playground Therapy rooms. Sapphire projects include Blueprint Negev, building reservoirs, community development, education and security. Pictured: Roberta Greenberg with Sapphire Society members and friends.